Miguel Angel Martinez was the second informant to testify at the trial. “Mr. Guzman told me to always be very careful, because the American government could be listening to our radio conversations,” Martinez told jurors as the trial of the accused kingpin entered its third week. Guzman, 58, a near-legendary figure who twice escaped from Mexican prisons, was extradited last year to face charges that he was responsible for trafficking $14 billion in cocaine into the United States over 25 years. The trial is expected to last four months. Martinez, the second informant to testify, identified Guzman as the “boss” of the trafficking operation, tied him to millions in police bribes, and said he worked on dozens of drug deals for Guzman from 1986 to 1998, first as a pilot and then as chief contact with Colombian cartels in Medellin, Cali and Bogota. Guzman watched him intently as he entered court, and the two men’s eyes met when Martinez — dressed in street clothes — was asked to identify his ex-boss. Sketch artists were ordered to not portray his face by U.S. District Judge Brian Cogan because of security concerns, and prosecutors obscured his face in a publicly released picture from the 1990s. Martinez said he received flight training in the U.S. and was using his piloting skills to smuggle electronics when he was recruited by Guzman to begin piloting or guiding cocaine flights from Colombia to rural Mexican airstrips where local police had been paid off. He described harrowing early flights where planes crash-landed on the airstrips after running out of gas, and a trip to Los Angeles with Guzman to buy two planes for $3 million, followed by a side trip to Las Vegas — “Mr. Guzman wanted to gamble” — but said his own flying career ended when he broke a propeller on a bad landing with the boss and a bodyguard on board. “Mr. Guzman told me I was a really bad pilot,” Martinez said, but gave him a job running operations in Mexico City and organizing regular Colombian shipments — an estimated 150 to 200 flights from 1987 to 1991 carrying between 650 to 800 kilos of cocaine each, with Guzman getting a 45 percent share in return for smuggling it into the United States. Like the government’s first cooperating witness, Jesus “Rey” Zambada Garcia, who testified last week, Martinez said police corruption was central to Guzman’s operation, testifying that a Mexico City federal official in charge of the attorney general’s police received two or three bribes of $10 million. In 1991, Martinez said, after the U.S. set up a base to intercept drug planes from Colombia to Mexico, the cocaine supply chain shifted to the water. Using merchant ships and tuna and shrimp boats, he said, Colombian ships would transfer their loads to Guzman’s fleet in international waters, and he would bring the loads from offshore to oceanfront property he owned using Zodiac boats. That system, he said, delivered 25 to 30 tons a year for trafficking into the United States. 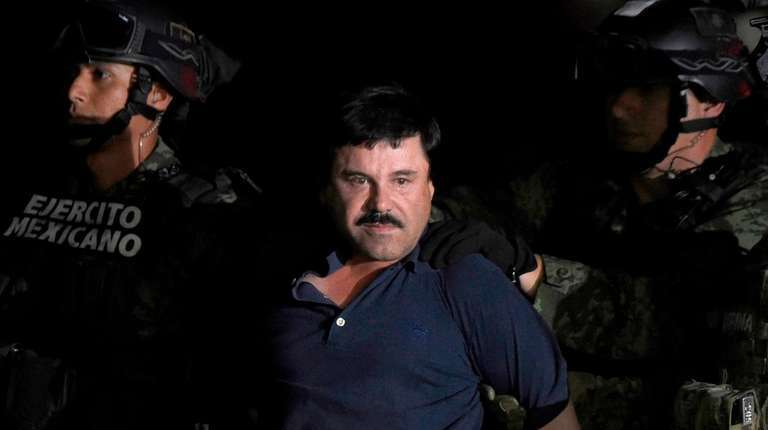 From the time he began working for Guzman until 1993, he said, the drug organization went from about 20 workers to 200, ranging from boat captains and plane pilots to money launderers, accountants and gunmen. “It was like a kind of corporation,” Martinez testified. Martinez’s testimony will resume on Tuesday.